This is an open community catering for Japanese Asian Graphic enthusiasts. We also accept tutorials and resources. My new asian music blog, same rules as here. See the rest here @ bleutomorrow. 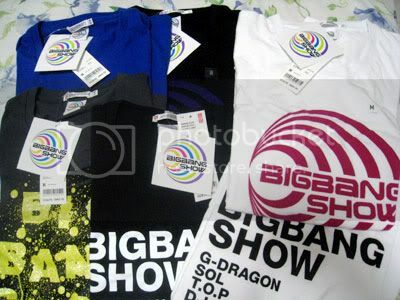 ready stock BIGBANG UNIQLO T-SHIRT (VERY LIMITED STOCK) paypal only! Sorry, this post is in only engrish language. Please don't remove my credit if you take it. Get the rest in my lj.